Toasted and ground white rice (ข้าวคั่ว) is used as an ingredient in certain Thai foods, most notably Larb. It serves as both a thickening agent for sauces, similar to flour, as well as adding a nutty flavor. 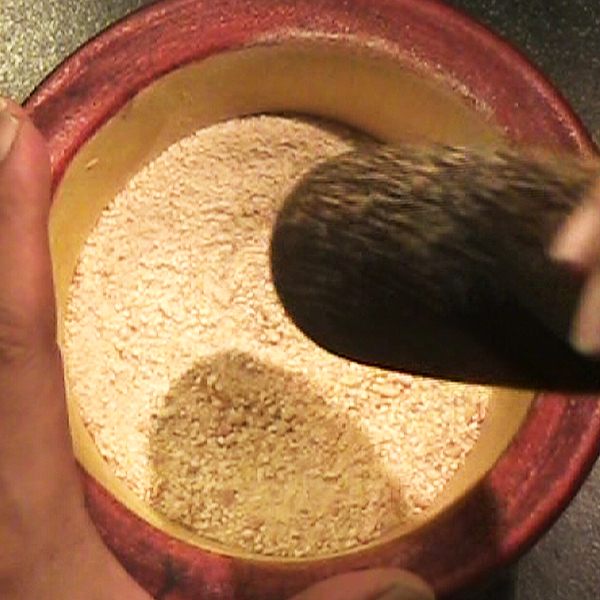 The rice uncooked long grain white rice is toasted in a wok or pan over medium heat for several minutes until it becomes evenly browned, then it is ground using a mortar and pestle until a smooth powdery flour is obtained. The powder is sprinkled on foods to give texture, flavor, and to thicken sauces.